To make the chive mayonnaise, place the mayonnaise, chives and lemon juice in a non-metallic bowl and mix well to combine. Spread on the baguette and fill with the pork, green onion, cucumber, carrot, radish, coriander, mint and chilli. Serves 4. 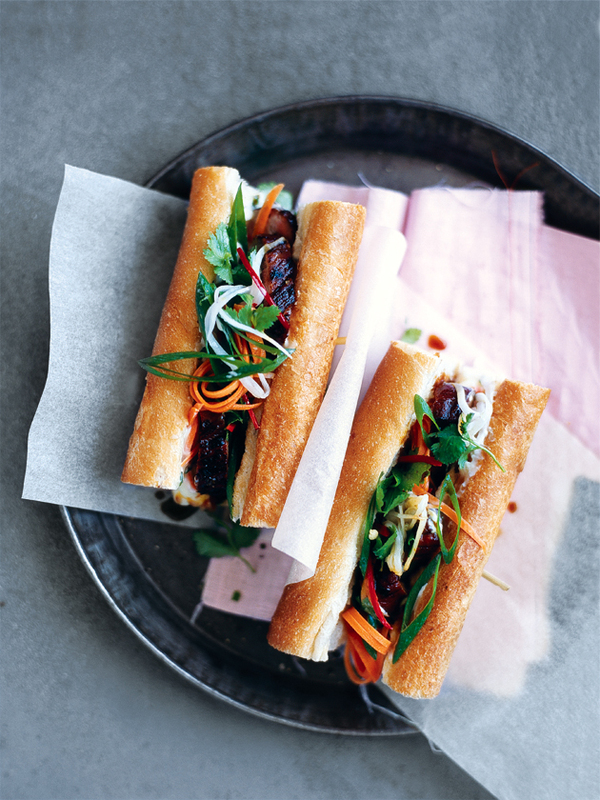 + These French-inspired rolls, called bánh mì, are traditionally spread with pork pâté, available from Asian grocers.